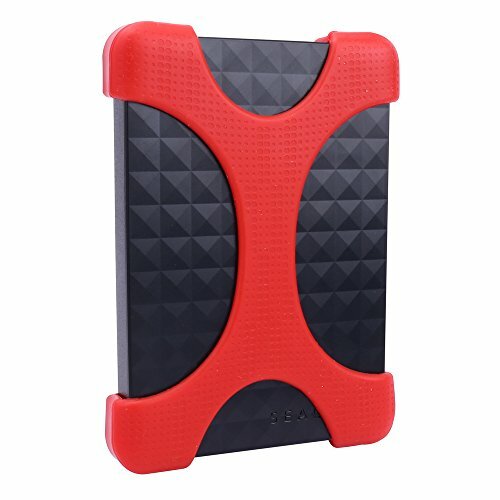 Aenllosi Soft shock proof bumper case fits Seagate Expansion/Backup Plus Ultra Slim/ Duet Cloud-Syncing Portable External Hard Drive/HDD 1T or 2T PC/Mac fits model # STFX1000400/STEA1000400/STEA2000400/STDS1000100/STDS2000100/STDR1000103/STDR1000102/STDR1000101/STDR2000100/STDR2000102/STDR2000103/STEH1000100/STDR1000100/STEH1000101/STEH2000101/STEH2000100 with built in USB 3.0 cable organizer. Includes cable organizer built in to case. for sale is silicone case only. Drive is not included.